Stool, having a rectangular boxed seat, on painted base showing natural wear, its curule form legs joined by turned stretcher, and rosette. 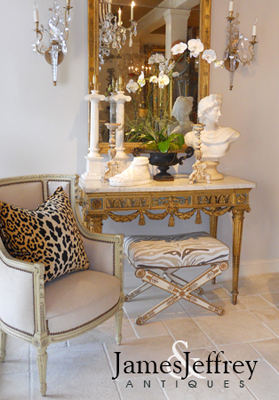 Upholstered in vintage printed-linen, with nailheads. CONDITION: Excellent antique condition. Sturdy frame, desirable wear to finish, new upholstery (swatch available). Stool, having a rectangular boxed seat, on painted base showing natural wear, its curule form legs joined by turned stretcher, and rosette. 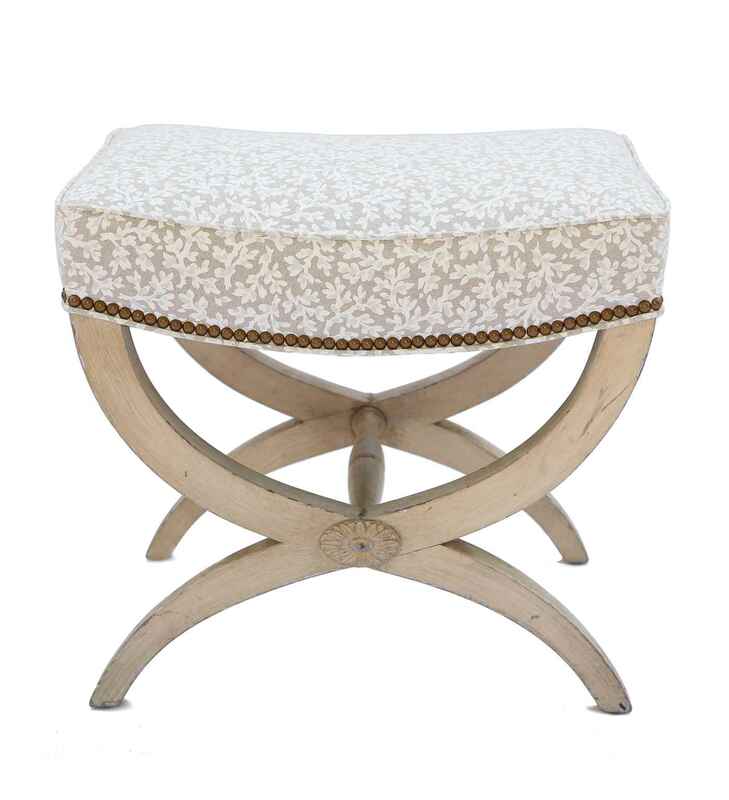 Upholstered in vintage printed-linen, with nailheads. CONDITION: Excellent antique condition. Sturdy frame, desirable wear to finish, new upholstery (swatch available).